Want to add an iconic light to your home? From austere post-war utilitarianism to the iconic fifties, we show you how retro style is very much the style of today. The Queen celebrates her wedding anniversary on 20th November, an impressive seventy years of holy matrimony with Prince Philip. The event took place two years and two months after the end of World War Two and helped to encourage the optimism of better times ahead. Whilst the 40’s and 50’s presented challenging economic conditions (food rationing was still in place until 1954! ), people embraced modernity, seeking to brush off all recollections of the war and start afresh. Due to the intensive bombing inflicted upon the major towns and cities in the country, the government commenced a prolific plan to build new homes and public buildings. These homes were needed urgently, so a new style of construction was implemented and the prefabricated building emerged. Made in large sections in factories and transported to building sites for assembly, they were ultra modern with no unnecessary designs and whilst initially designed to last for around twenty five years, many have stood the test of time and are still lived in to the current day. Lighting, of course, is imperative in all homes, so we look back with affection at the lights present throughout this tumultuous time in history. The 30’s lighting styles were simple in style, designed to be functional rather than adding beauty to the home. Utilising brass, stainless steel and opal glass, they were often tubular in shape. Whilst these will fit in to a retro home, they are an excellent match for a vintage style. 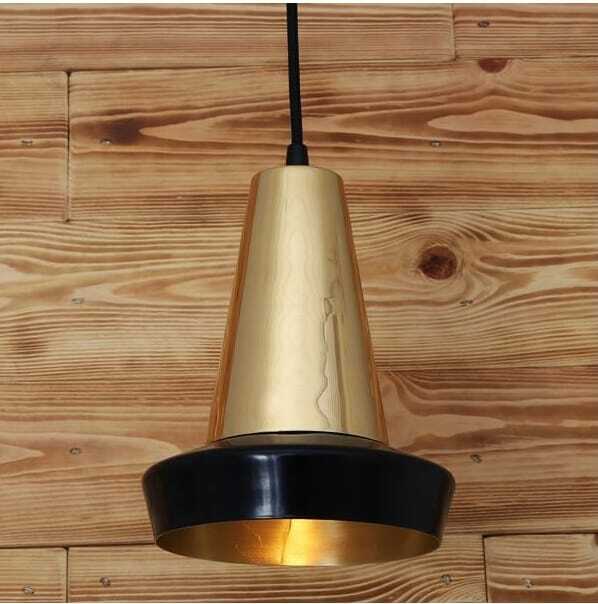 The Malabo is a simple yet elegant ceiling pendant that would look at home in industrial settings, traditional 30’s homes and more modern rooms too. With no unnecessary colours or design features, it offers a timeless appeal. Globes were also popular and these have maintained a classic, timeless appeal that is as relevant in contemporary homes today as they are in retro settings. Throughout the 40’s, the transfer into modernism gained traction and brighter colours and bolder styles emanated. Many of these styles are iconic and remain in the foreground as the ultimate definition of the term ‘retro’. This design adds a real retro charm in an instant. 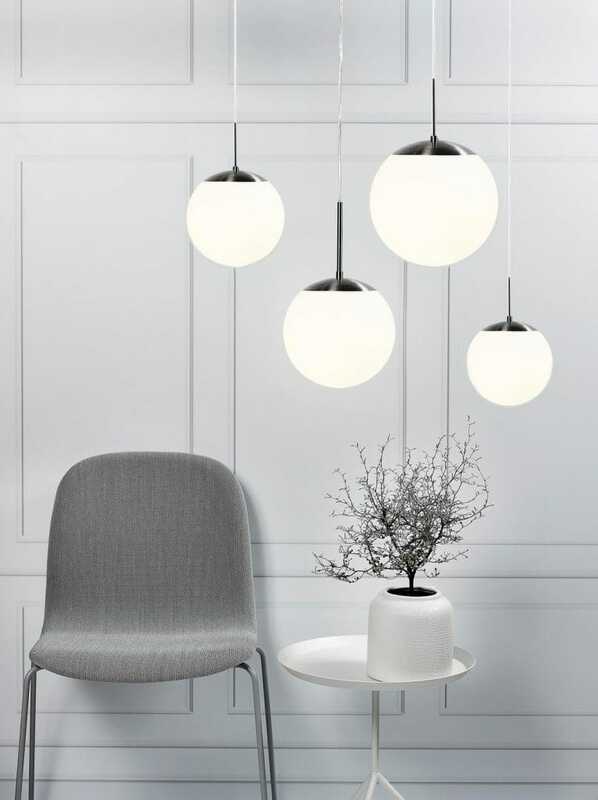 Not only do the shades offer a interesting silhouette and texture to the light, they also act as an effective diffuser, keeping the balance perfect between form and functionality. 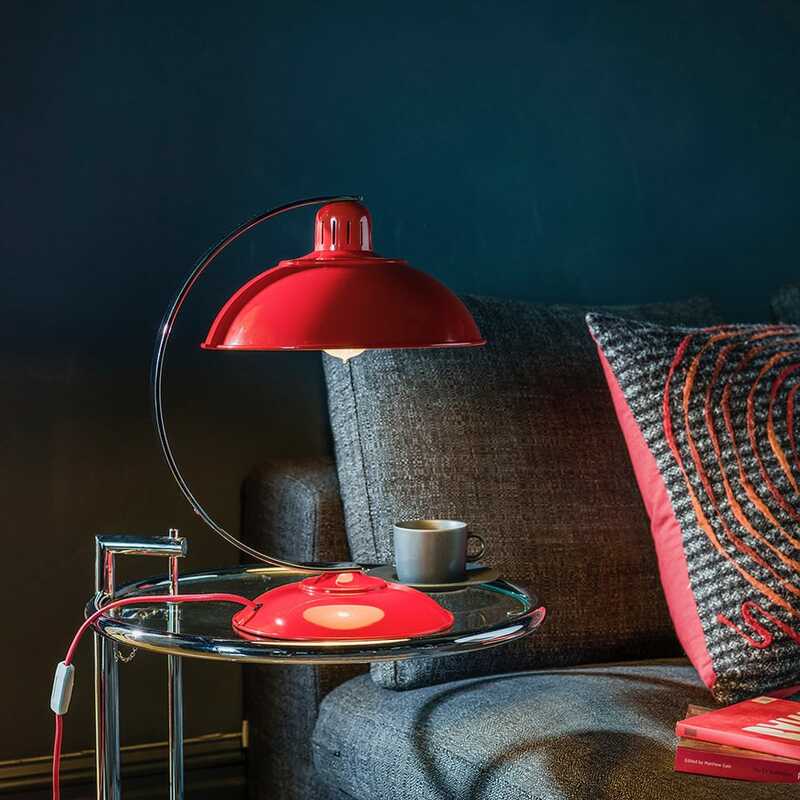 A bright, post-box red enamel finish suits this retro light perfectly. 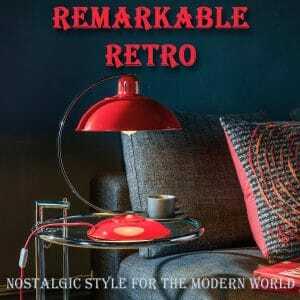 An ideal size for use in a lounge, on a desk or at a bedside this will add authenticity to a retro design dexterously. 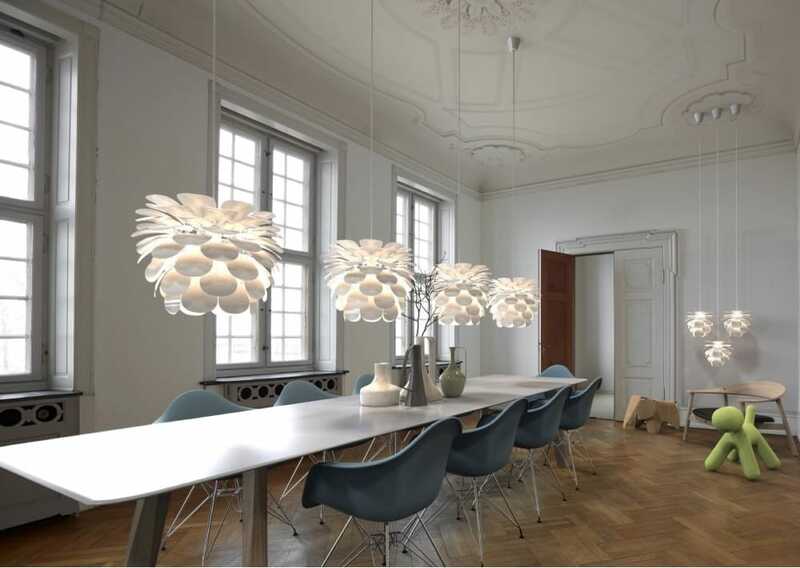 Into the 50’s, lighting began to be influenced by Italian and Scandinavian designers. Big on character and scale, these challenged the simpler designs and began to ensure that the form and beauty of the lights matched the functionality. A choice of modern materials replaced the need for such bright colours. 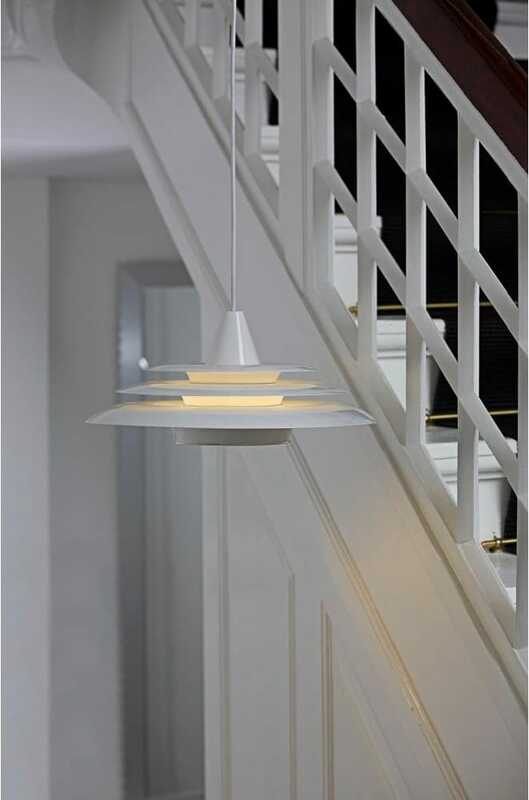 The Motion 50 ceiling pendant is the epitome of retro Scandinavian styling. Featuring decorative petal style diffusers, they create a play of shadow and light for a textured, almost sculptural effect. 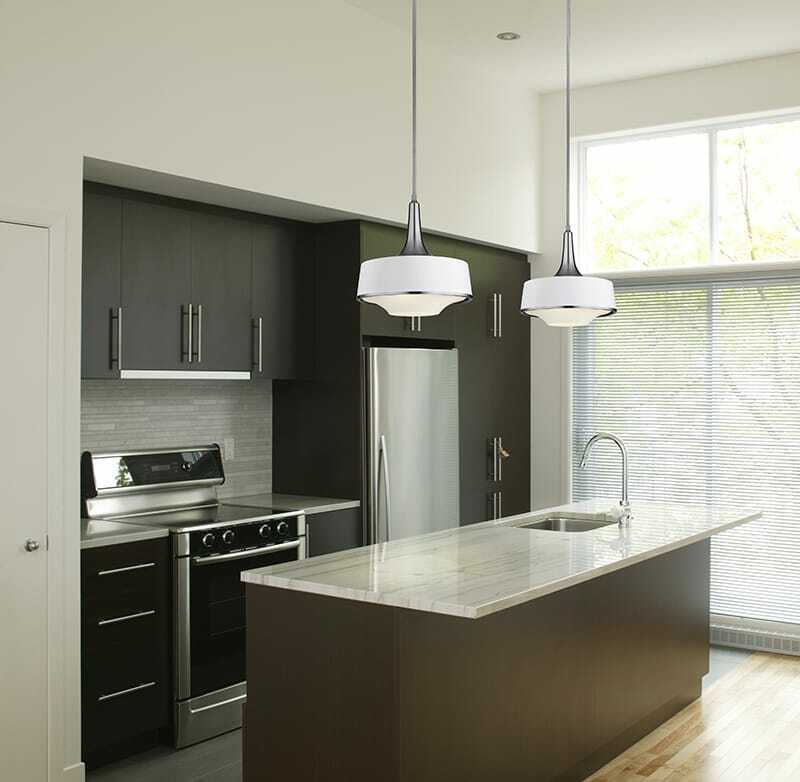 The Holloway ceiling pendant is a retro design triumph which sees it blend competently with the modern smooth lines of this kitchen. Finished in a matte white finish with a brushed steel accents. Despite the austerity of the times, iconic designs were prolific and really helped to brighten the homes of the era. Here at The Lighting Company, we have a huge selection of retro lights, so you can be sure of the best selection your money can buy! There will always be a place for great design in our hearts and homes and retro is a relevant representation of this fact.